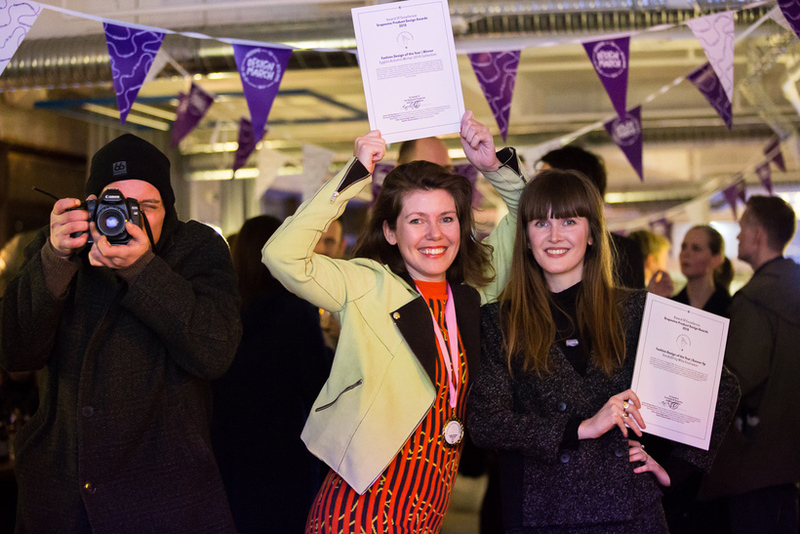 The annual Reykjavik Grapevine Design Awards for 2016 took place on Friday night. 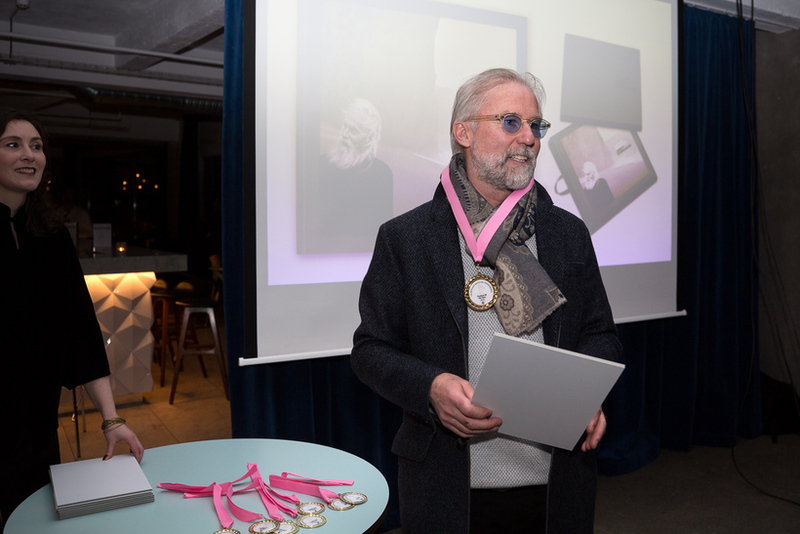 Among the winners were Morgunblaðið photographer Ragnar Axelsson for his book Faces of the North and fashion designer Eygló. Eygló isn’t afraid to be bold or unpredictable, finding inspiration in everything from dinosaurs to the surface of Mars. “Her collections are never the same,” the judges determined. “She just isn’t afraid to take chances and be risky.” Eygló’s pieces—wholly created from silk and natural fibers—revolve around unusual textiles. The Autumn/Winter collection is chock full of them, with eye-catching patterns gracing fitted midi dresses and loose shifts. Some standouts include a lime green 3/4 sleeved dress with an outlined gun printed on the front, and spiked fabric coming out of the sleeves with a matching leather clutch. That said, Eygló is way more than just plain spectacle—the A/W collection also contains full color fitted muted pieces. Nuanced but still unique, her turtlenecked midis reveal a deep understanding of proportion and the human body. Eygló has consistently shown herself as more than a one-note artist, and her future is looking as bright as her dresses. If you want to check out the collection in person, head over to Kiosk at their new Miðstræti 12 location. VonduGil is the work of designer Milla Snorrason, and her newest line was inspired by rock formations. “It is a very ambitious line,” said the judges, “that was beautiful, high quality, and abstract.” Containing everything from suits to button ups to a 50s-style silk dress, Milla’s work has a sophisticated aesthetic. It’s subtle workwear—the kind of pieces you’ll think of long after you see them. Find them at Kiosk at Miðstræti 12 and Kraum at Laugavegur 18. The judges had a hard time picking a single product line, but settled on 1+1+1. It’s an experimental collaboration between designers from three Nordic countries: Hugdetta from Iceland, Petra Lilja from Sweden, and Aalto+Aalto from Finland. The project examines and reimagines objects; each studio designed an object consisting of three distinct parts and then mixed the parts up into unpredictable combinations. “We were impressed by their method and design approach,” said the judges, “how the designers created a reality of working blindly together with other designers.” The beauty of 1+1+1 comes the fact that these objects sprang from risk-taking, friendship, and travelling. There is no single product that can be representative of the line—it’s the methodology that is memorable. OR Type is an online store for typography founded in 2013 by graphic designers Guðmundur Úlfarsson and Mads Freund Brunse. The store contains a wide range of typography that the judges called “clean-cut and professional.” The panel also praised their website, which is both user-friendly, clear, and entertaining. “Their look is beautiful but also diverse and comprehensive,” they concluded. In addition to their online library, they also provide custom licenses and take on bespoke type designs. Their work is available at ortype.is. In “Silfra” by ALVARA, silver was dropped into cold water and then retrieved to create a collection of abstract one-of-a-kind trinkets. “ALVARA developed a unique way to use nature without being too kitschy or iterative.” The judges were also impressed by the jewelry’s framework, which they called simple and clean. “The results not being known in advance captures only Icelandic characteristics. It’s a beautiful methodology and juxtaposition.” The whole collection can be viewed at alvarareykjavik.is/silfra. “Andlit Norðursins II is about a topic that really matters: a culture and landscape that is disappearing before our eyes,” said the panel. The photography book focuses on documenting Greenland, Iceland, and the Faroe Islands, specifically focusing on daily life and culture. The original book came out in 2004, but in 2016, Ragnar released a special edition with three times as many photos. He added a “Behind the faces” section to each country, outlining the subjects and places of each picture, presented with his written diaries. “The whole execution of the book is top-notch,” remarked one panellist. “It was done beautifully.” Andlit Norðursins can be found at bookstores around Reykjavík and also online. The mineral feldspar makes up 60% of the Earth’s crust, and is a key ingredient in many domestic objects. This obscure fact provided the inspiration for Theodora Alfredsdottir’s dining set, “From the Group Up II”. While it is technically a product line comprising plates, bowls, etcetera, the focus on substance and material made the panel consider it as a singular product. “There is a beautiful thought behind Theodora’s work,” they remarked. “People have grown disconnected from where material resources originate, but to be acutely aware of the transformation of the material from its natural state until it sits at your table is fascinating.” They also noted that due to Iceland’s environment, rocks hold an unusually compelling spiritual relationship to the country. The Agari water bottle is made with agar, a jelly-like substance created from algae. It is designed to only retain its shape when filled with water: the moment it is empty, it begins to deconstruct. “There’s a massive discussion right now about reducing plastic consumption,” noted the panel. “This water bottle captured global interest, showing how important the whole project was. It created hope.” Ari Jónsson was only a first year university student when he made the bottle, but it quickly gained attention online. While the project is still in its initial stages, it shows the possibilities of solving the problems of global consumption. Plastic takes 500 to 1000 years to disintegrate, so currently all plastic that human-kind has ever produced is still somewhere in our environment. “This is a revolutionary idea, but it’s a beautifully simple design,” the panel noted. This new exhibit at Ljósafossstöđ outlines the progression of electrical power, from creation to mass production. “Without using language, they communicate knowledge in a lively manner,” said the panel. “It’s scientific data presented in an exciting and entertaining manner, both visually and in terms of context.” Ljósafossstöđ is one of the country’s oldest hydroelectric power stations, and this interactive centre contains not only written information but also sound installations and kinetic light sculptures.